Guides, tools & resources to help you connect with your readers and build a community around your work. If you’re looking for a quick way to get started, consider grabbing one (or all!) of my free guides. Each is packed with helpful info and resources to get you quickly moving in the right direction. Platform building is not “one-size-fits-all”. No one strategy or tactic will work for all writers. But there are some key elements that are foundational for growing a powerful online presence and building an audience around your writing. Understanding what these key elements are AND how to implement them properly is essential. And knowing where to focus your time and energy will bring the results you want – faster. No longer just a fancy, static, online business card, an author website is your ‘home base‘ – a marketing and networking hub and a portal that allows communication to flow between an author and his or her readers. Visiting an author’s website is one of the leading ways that book readers support and get to know their favourite authors better. The stronger the relationship, the more likely zealous advocates will spread the word about the author to friends, family and peers. And website visits can translate directly into books sold. 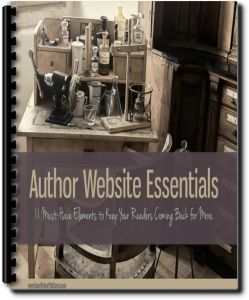 For additional helpful resources on setting up, managing and leveraging your author website, click here. Every writer, communicator or creative needs great resources to help build their platform and their careers. The following are resources and tools that have been carefully curated based on my own use and research. I will also continue to update and add to this resource page as research and results dictate. 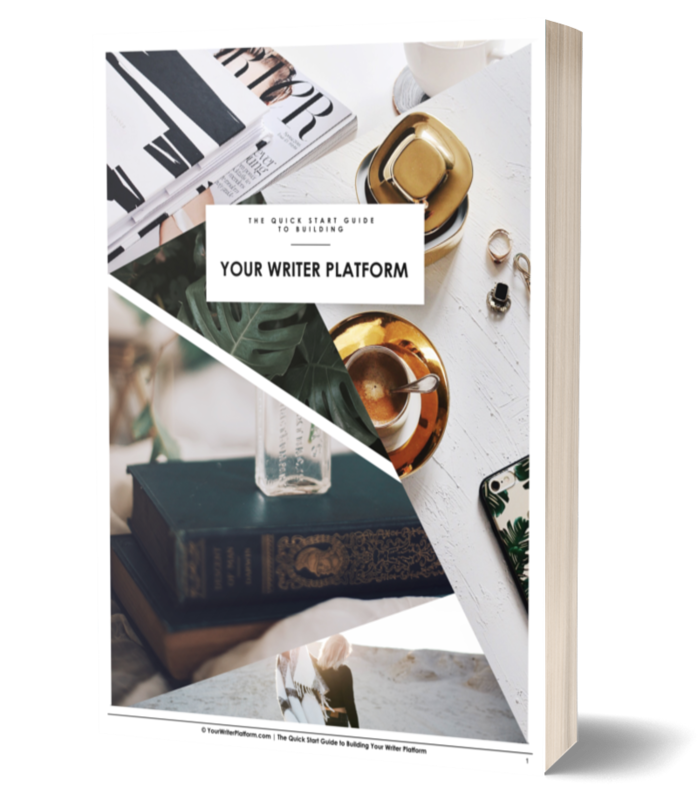 Knowing where to start is the toughest part, and looking at a page filled with options can sometimes make the process of building your writer platform seem even more daunting. So, even though all of the resources on this page have been hand-picked out of hundreds of other options, those listed immediately below are my top recommendations and the must-have ingredients to a successful start on your book marketing path. Bluehost: One of the 20 largest web hosting companies, Bluehost is a reliable choice and makes getting set up with WordPress super easy. Customer support is excellent, and you can be up and running in minutes! I highly recommend using Bluehost to satisfy your author website web hosting needs. For more information on self-hosting, WordPress and Bluehost, check out this post on how to Set Up Your WordPress Blog in Under 15 Minutes. LeadPages: Want to create landing or sales pages, but struggling with tech overwhelm? Me too – until I found this: you can have a published landing page in less than five minutes with LeadPages®. They have engineered the simplest landing page builder in the industry, so you can create, edit and deploy your next high-converting page without touching a single line of code. The landing pages you create are 100% mobile responsive and work effortlessly on iPhones, iPads, and Android devices, so you can ensure that everyone can navigate through your landing pages. Aweber: You can never start building your email list too early. There are several good options available for writers, but the stand out email opt-in service and email marketing/broadcasting tool is Aweber. You can send out broadcast emails to your subscribers as well as automatic follow-up emails set at varying intervals (super useful!). Send automatic blog updates, test emails before you send them, choose from loads of well-designed email opt-in forms, monitor who signs up – and you can try it all out for only $1! For more, check out this post on list building. WordPress.org – The #1 Blog Publishing Platform. WordPress has the greatest variety of themes, plugins and services of any blogging platform. It’s free and easily customizable with wonderful support. This is the self-hosted version of WordPress, not the hosted wordpress.com version. You are in complete control over how you use it, and what to install. Most importantly, you’re in control of your data instead of some other bigger entity who can change the rules at any time. Bluehost – For as low as $3.95, you can get set up on Bluehost. Easy to use, 1-click automatic WordPress installation and excellent customer service. I HIGHLY RECOMMEND using Bluehost for your first site. Elegant Themes – Premium looking WordPress themes without the price tag. Stellar designs, advanced features and great support. Booklaunch.io – A fantastic platform that allows you to make beautiful, professional book pages in less than 10 minutes. You can uniquely customize a sales page for all your book titles, and it’s free to get started. Aweber – The internet’s most powerful email opt-in service and email marketing/broadcasting tool. This is what I use to build the YWP email list and newsletter. For a free step-by-step tutorial, check out The Writer’s Guide to Building an Email List. Mailchimp – Another option that is easy to use and free for your first 2000 subscribers. Just be careful because MailChimp prohibits any affiliate marketing as part of their terms of service. Ideal for writers and artists who just want to share their art. Morguefile – A fantastic free resource where you can get high resolution stock photos that you are allowed to copy and adapt, without attribution (although, I tend to link to the source anyway). Many of the images used on YWP have come from Morguefile, and for a tutorial on how to find, edit and use images for your website, check out this post on creating images that grab attention. Death to the Stock Photo – Sign up and receive a fresh pack of photos each month to create rich digital experiences that elevate your visual aesthetic… without shelling out wads of cash. Flickr Creative Commons – This is where you can get free, beautiful images for your website, but there are some rules that go along with it. Many Flickr users have chosen to offer their work under a Creative Commons license, and you can browse or search through content under each type of license. iStockphoto – This is where you can purchase royalty-free images to use on your site. PicMonkey – A free online photo editor that allows you to add text to photos, resize, crop, frame and even create collages. The majority of photos and graphics on this site have been created through PicMonkey. Love it! Canva – Canva makes design simple for everyone. Search for the best graphics, photos, and fonts, or upload your own, then use Canva’s drag and drop tool to create a design. Design with hundreds of free elements and fonts, or choose from a library of more than 1 million premium images for just a $1. WordSwag – Create beautifully custom text layouts that would normally take minutes – or even hours – with just a tap. Book Design Templates – Created by TheBookDesigner.com, these templates will allow you to quickly and easily create beautiful books right in Microsoft Word. Built to industry-standard specifications, the template styles will make your book stand out, without all of those newbie mistakes. Backup Buddy – You don’t want to learn the hard way about how important it is to backup your site. Way too many people skip this step, and it usually ends with disastrous consequences. Backup Buddy is the easiest and most reliable complete backup solution. All in One SEO Pack – Free WordPress SEO plugin to automatically optimize your WordPress blog for Search Engines. W3 Total Cache – When your site gets more popular, a caching plugin can help make sure it loads quickly for all those visitors. W3 Total Cache is the best plugin caching option for WordPress, and it’s free. Google Analytics – Google’s free website tracking and analytical tool. A must have for anyone with any type of website. E-Junkie – Easy-to-use online shopping cart. Great for selling eBooks and other simple products. Super cheap and has a decent affiliate program to help sell your or other people’s products. Clickbank – A more advanced shopping cart than E-Junkie with a great affiliate tracking system. Paypal – Basically an online bank account that makes it easy for you to receive payments. You’ll need an account to configure with and accept payments from the above shopping carts. TweetDeck – When you have multiple Twitter accounts and want to keep track of everything in one place, TweetDeck is a great option. Hootsuite – This is another option for managing multiple accounts with both a free and pro version. This is the third party app I use to track mentions and schedule tweets. Buffer – One of the best ways to grow a Twitter following is to tweet often. The problem is you either have to be on Twitter all day, or your tweets all go out in clusters when you’re there. Buffer solves this problem by helping you schedule tweets throughout the day. Google Alerts – Google Alerts are email updates of the latest relevant Google results (web, news, etc.) based on your queries. You can monitor a developing story, keep current on industry news, or even check your name/site for results on what people are saying about you. Jing – Free program that allows you to instantly capture images and videos, then share them with anyone. Screenflow (For Mac users) – Screen capture software. Use this for recording your screen while delivering webinars or presentations. You can also publish directly to YouTube and Vimeo. Camtasia (For PC Users) – Screen capture software for PC users. Call Recorder for Skype – Used for recording Skype interviews. Easy to set up and inexpensive. Evernote – Evernote is a free app that makes it easy to remember things big and small from your everyday life using your computer, phone, tablet and the web. Scrivener – a word-processing program designed for writers that allows the user to keep track of notes, concepts, research and whole documents for reference (documents including text, images, PDF, audio, video, web pages, etc.). 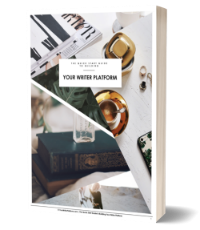 The Quick Start Guide – Get access to The Quick Start Guide to Building Your Writer Platform, which will guide you through the key steps required to lay a proper foundation for your platform building and book marketing efforts. Book Launch Toolkit – I’ve combined forces with publishing expert Joel Friedlander (TheBookDesigner.com), to create a specialized toolkit that includes training, launch worksheets, checklists and guidelines to maximize your launch and avoid costly errors. 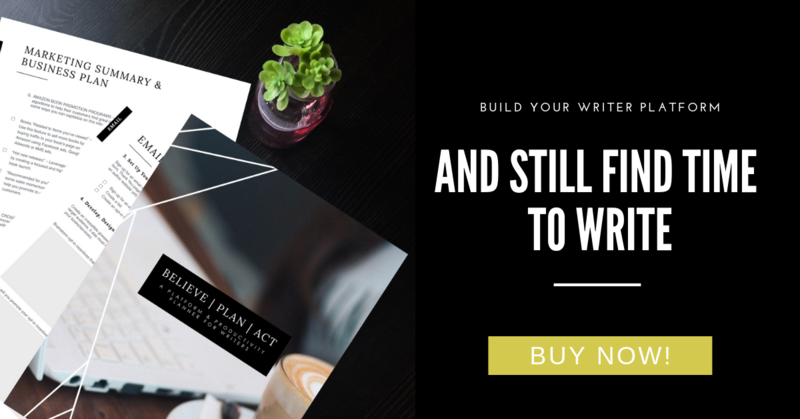 The Book Launch Toolkit will not only save you time but eliminate the need to create your own plans and templates from scratch (or having to “piece” together strategies from other authors). Amazon Success Toolkit* – This toolkit is how savvy authors publish and optimize their books for blockbuster sales on Amazon. This toolkit includes step-by-step instruction on how to publish your print book, Kindle eBook, and audiobook using Amazon’s publishing platforms: Kindle Direct Publishing and ACX, as well as how to use your Author Central account to take control of your book’s Amazon product page. Targeting Genre for Big Sales* – Genre plays a huge part in sales. And learning to target genre can mean the difference between a novel no one’s heard of and one that sells hundreds or even thousands of copies a month. This course will show you in clear, easy steps how to target genre for big sales. Amazon Ads Course* – A free 5-day course on Amazon Book Ads by the people at Kindlepreneur.